Divorce is never easy, but when you decide that filing for divorce is the right step, Chambers Law Office can help. The attorneys at Chambers Law Office will take the time to listen to your goals and concerns, and help guide you through the process step-by-step. While we will take a collaborative approach when appropriate, we will also zealously advocate for our clients in court when necessary. Katie Kawiecki, Of Counsel, and Julie Chambers, Principal Attorney, are both trained as trial attorneys and are prepared to fight for you and help protect your interests. 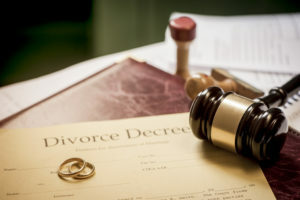 Divorce proceedings can be difficult, emotionally and financially, and at Chambers Law Office, we will always be mindful of your time and budget. Whether you are seeking an uncontested divorce or are facing a more complex divorce, Chambers Law Office is here to help. We can help with child support calculations, preparing parenting time schedules, and dividing property equitably. As trial lawyers, we are comfortable in court and also in mediations and negotiations. We represent family law clients in Indianapolis and all of central Indiana, including Hamilton County, Boone County and Hendricks County. If you have questions regarding a divorce or other family law issue, contact Chambers Law Office today to schedule a consultation with an attorney and get the help you need today.